The Augsburg Native American Film Series invites you to join us for the international opening of The Eagle and The Condor–From Standing Rock with Love. Our evening event will include a virtual introduction from the filmmaker (Kahstosera’a Paulette Moore), a global broadcast through Free Speech TV to supporters like the Augsburg Native American Film Series, and stories from students, alumni and community members who participated in the fight against DAPL. We look forward to hearing your memories of Standing Rock as part of our conversation after the film. Bring your cell phone to participate in live streaming conversation with the filmmaker and other groups participating in this global experience. Directed by Kahstosera’a Paulette Moore, Produced by Rebecca Kemble. 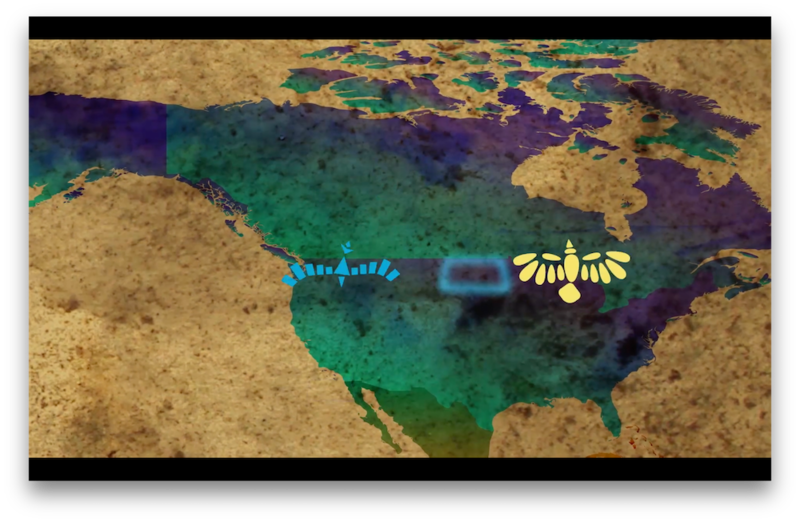 The film also features: Seneca Nation’s Onödowá’ga:’ Protectors and singers (Darelyn Spruce, Nicky Thompson, Robin Jones, Jason Corwin, Kyle Spruce, Lor Seneca); pediatrician Dr. Sara Juanita Jumping Eagle (Dakota/Lakota-Standing Rock); Canupa (Pipe) carrier Grandmother Theresa Black Owl (Singugu/Rosebud); oil pipeline activist, economist and author Winona LaDuke (Ojibwe); independent journalist Jenni Monet (Laguna Pueblo); Wisconsin alderperson Rebecca Kemble; traditional dancers Helga and Jose Garza (Azteca); investigative journalist Will Parrish; water protector/builder Brennon “Bravo1” Nastacio (San Felipe Pueblo, Zuni Pueblo); traditional dancer Adriana Betti and the Cuautli Mitotiani Mexica Group; and lawyer and activist Germaine Tremell (Dakota/Lakota–Standing Rock). 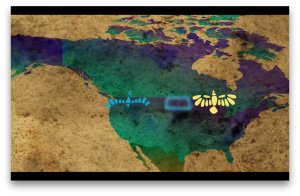 Organizations and communities that are participating in this global event include: Eastern Montana University, Northwestern University Center for Native American and Indigenous Research, Augsburg University Native American Film Series, University of Massachusetts-Boston, University of Michigan, Conrad Grebel University College/University of Waterloo, Simon Frasier University, Six Nations Territory, Western Kentucky University, Adriana Betti and the Cuautli Mitotiani Mexica Group in Berkley, Hamilton/Wentworth School District of Ontario, Echo Valley Farm of Wisconsin, Showing Up for Social Justice (Rochester, NY), Northland College, Seattle community, University of the Arctic, Apotheosis Farm (MD), and University of Vermont. Director Kahsto’sera’a Paulette Moore is an independent filmmaker, artist and affiliated professor of Indigenous Media and Philosophy at Northland College in Ashland, Wisconsin. Moore is Kanien’keháka (Mohawk) and an enrolled member of Six Nations of the Grand River territory, where she lives. Moore spent two decades based in Washington DC working as a director, producer and writer with Discovery Channel, National Geographic, PBS, ABC and other media outlets. In 2009, Moore began work as an associate professor of media arts and peace-building at Eastern Mennonite University in Harrisonburg, VA. 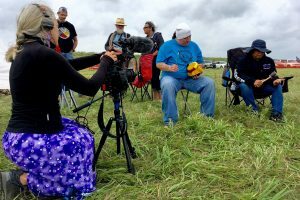 There, she collaborated with students to create “To Wisconsin with Love,” a film about Ojibwe resistance and envisioning in response to what would have been the world’s largest open-pit Taconite mine. In 2016, Moore collaborated with Northland College students to create “From Wisconsin with Love,” which focuses on the spiritual, economic, and legal aspects of the act of harvest from the perspective of Ojibwe prophecy and practice. Between 2016/17 Moore made six trips to Standing Rock protection action sites to cover the largest gathering of Indigenous people in recent history. Moore is a novice Kanien’keha (Mohawk) language speaker and a PhD candidate in Continental and Haudenosaunee Philosophy with European Graduate School based in Saas Fee, Switzerland. Producer Rebecca Kemble, alderperson for Madison Wisconsin District 18, is a founding member, writer and editor for the Wisconsin Citizens Media Cooperative and is a contributor to The Progressive magazine. She is a recent President of the US Federation of Worker Cooperatives and the President of CICOPA North. America, Vice-President of CICOPA Americas and serves on the Executive Committee of CICOPA worldwide. Rebecca is a worker-owner of Union Cab Cooperative where she has worked since 2000 as a night shift taxi driver as well as a mediator. Rebecca is featured in the film. Screening begins at 6:30 with Zoom conversation with filmmaker and participating screening organizations, followed by the film at 7:00. For parking directions visit: http://www.augsburg.edu/about/map/. You will be parking in Lot L off of 26th between Riverside and Butler Pl. You will need a parking permit. For parking permits contact M. Elise Marubbio at marubbio@augsburg.edu. Permits are limited in number. PLEASE NOTE this is also Augsburg University’s homecoming week so parking will be limited. Plan ahead and if you are able, consider using parking garages at Fairview (across Riverside) or on the city streets. We are sorry for this inconvenience. Thank you to our sponsors: Augsburg University, American Indian Studies Department, American Indian Student Services, Augsburg Indigenous Student Association, NACDI, and the Institute for Global Studies at the University of Minnesota.